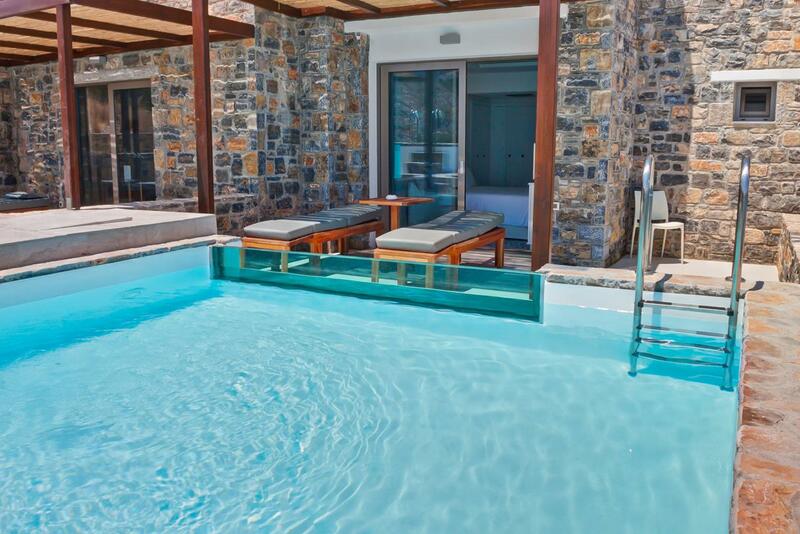 Royal Marmin Bay Boutique hotel has all the ingredients for a wonderful beach holiday in a relaxing location. 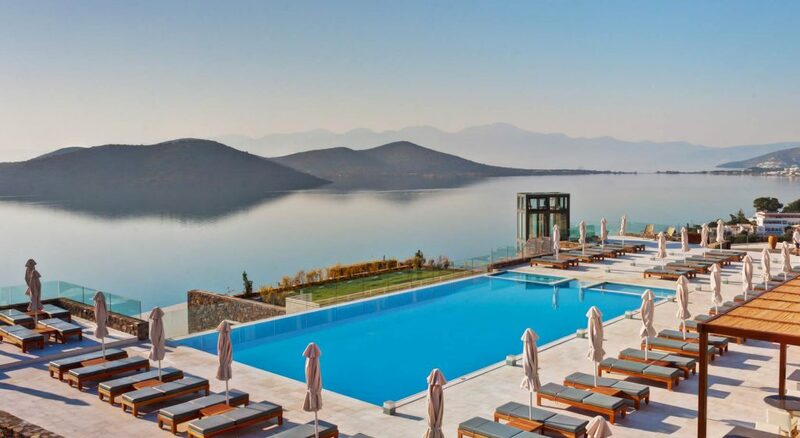 The hotel’s beautiful pool terrace features a full-size pool with views over the bay of Mirabello, a poolside bar offering a selection of daytime snacks and light lunches. 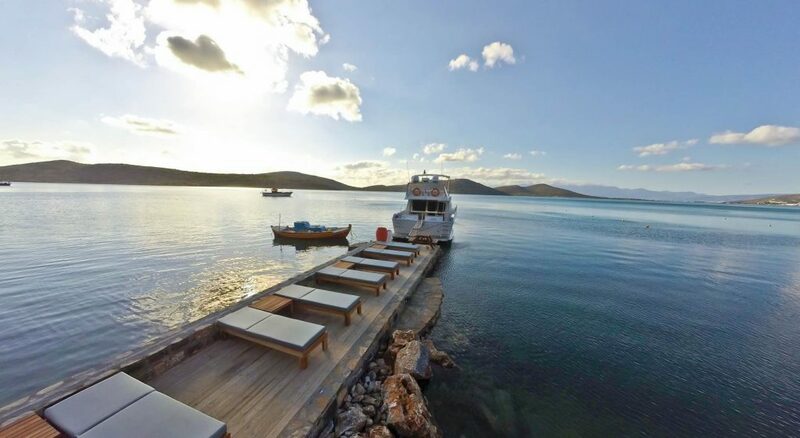 Enjoy lazy days on the beach, here you will find the hotels Icaros beach bar offering fresh juices, alcoholic and nonalcoholic beverages plus a selection of tasty snacks. 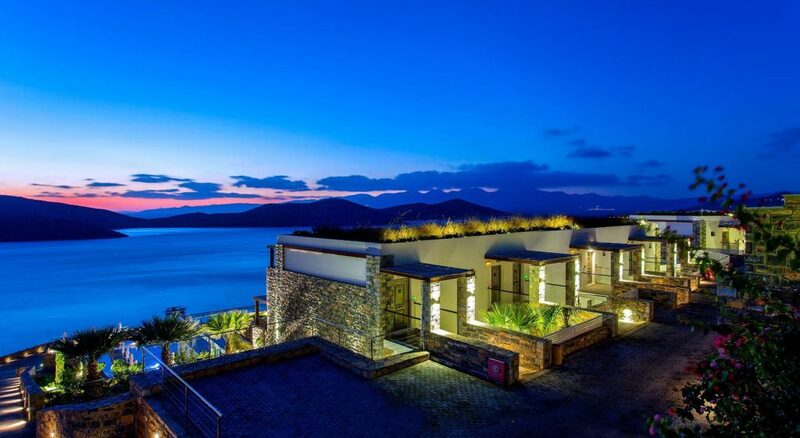 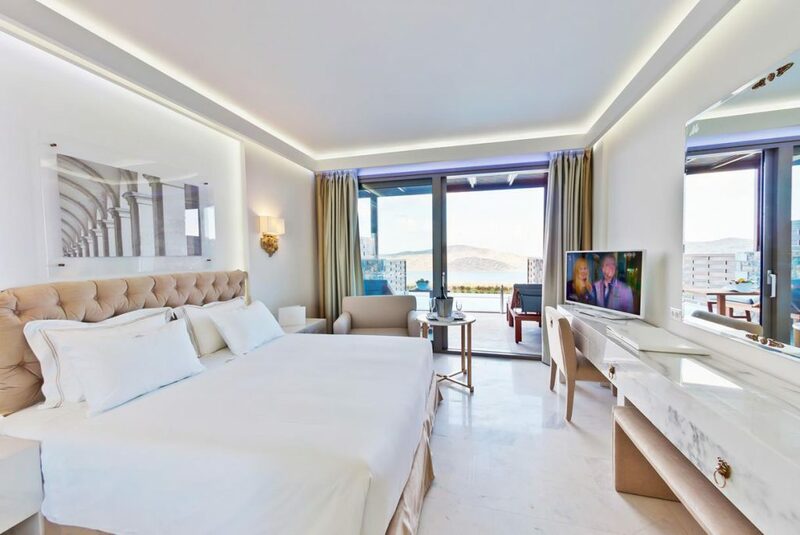 The hotel’s 3 restaurants each offer a different theme, enjoy an extensive buffet in the hotel’s main restaurant Athena or maybe try sushi in the Samurai Bar Restaurant and for a special occasion the gourmet Poseidon Grill with wonderful sea views from its terrace. 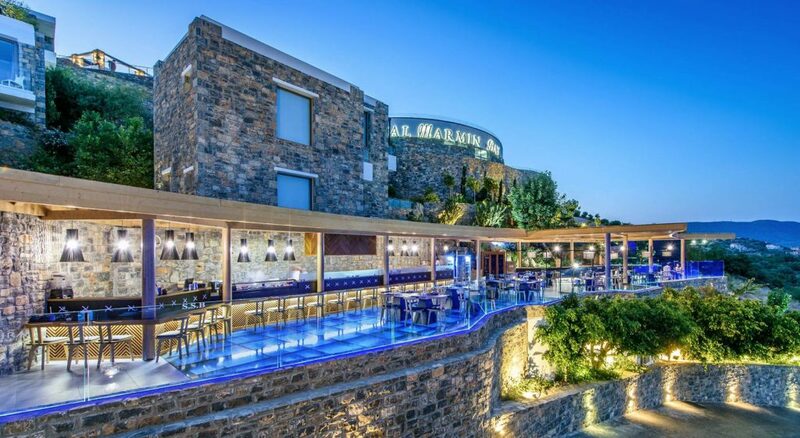 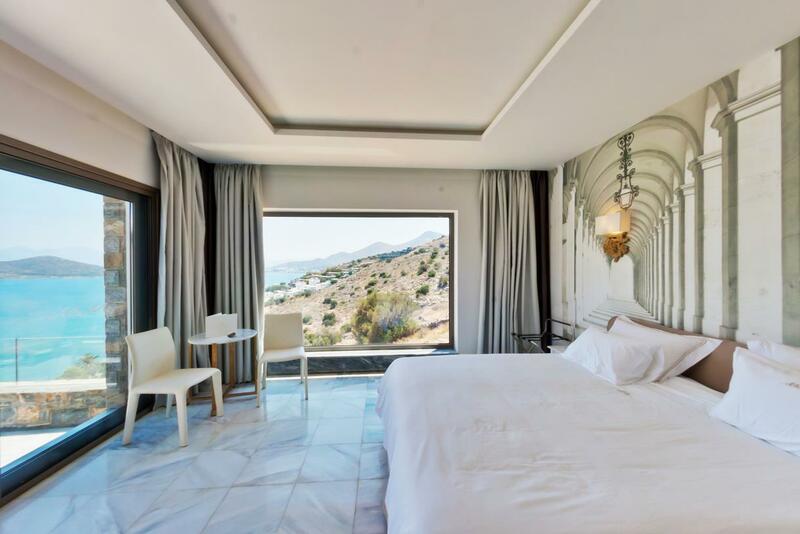 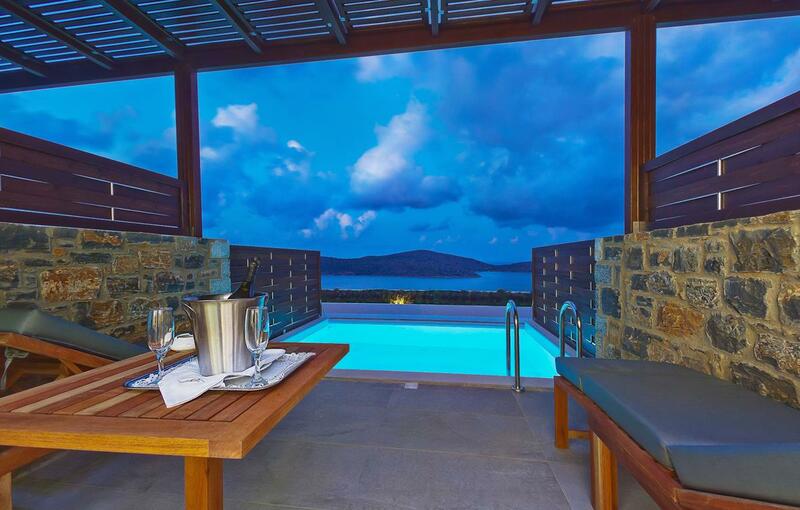 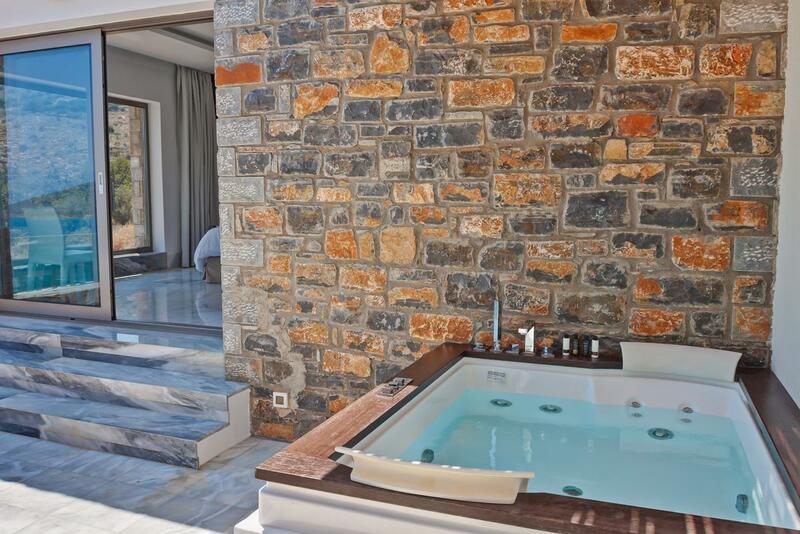 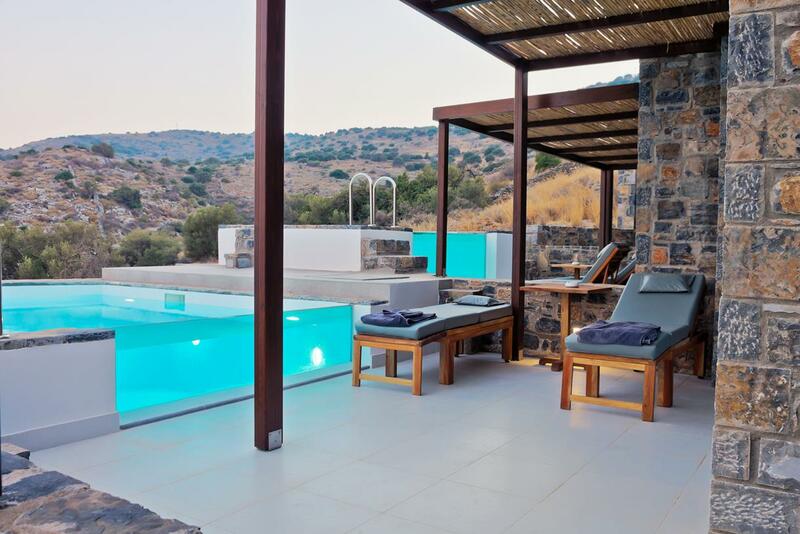 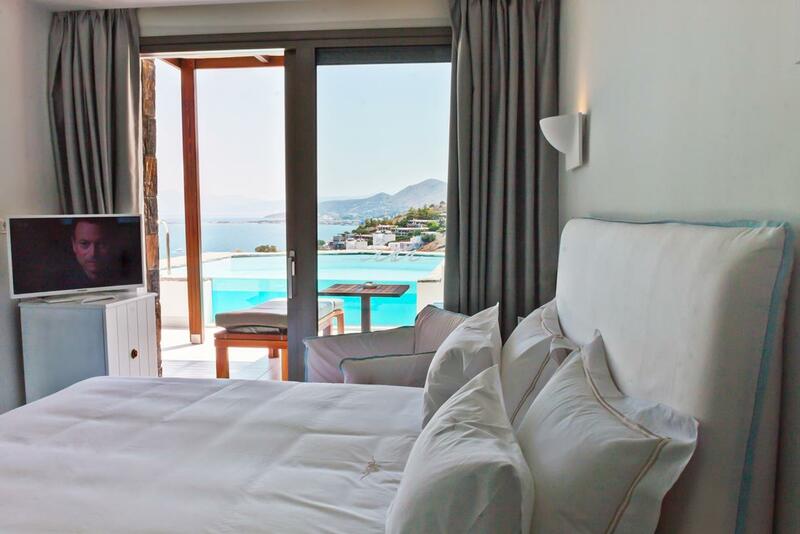 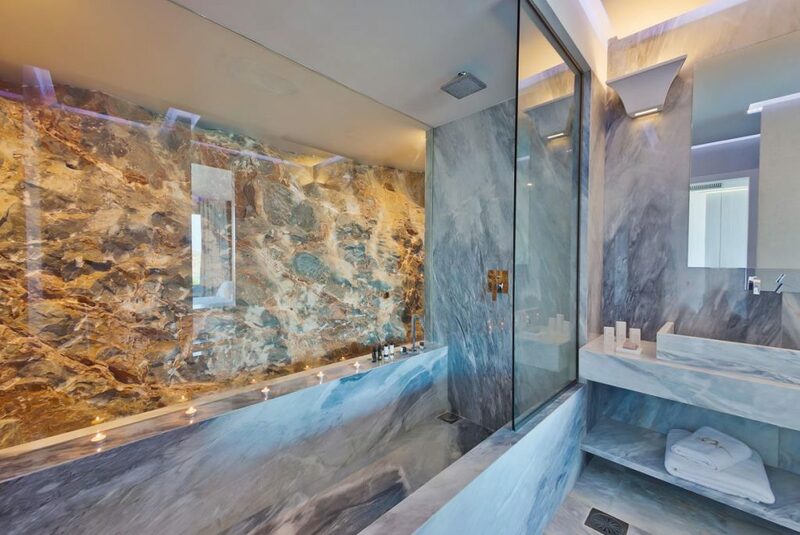 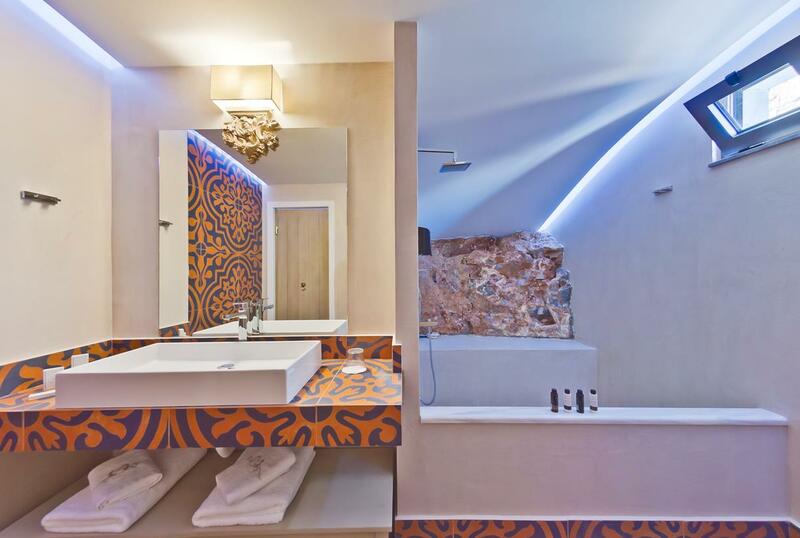 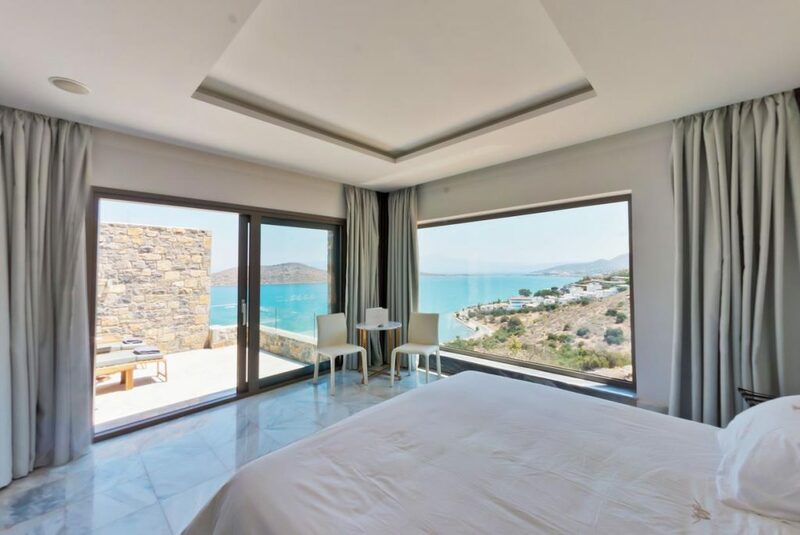 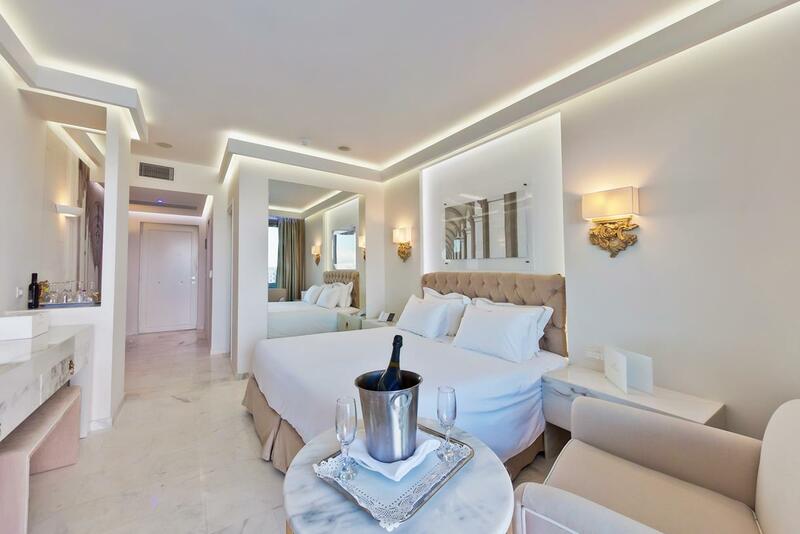 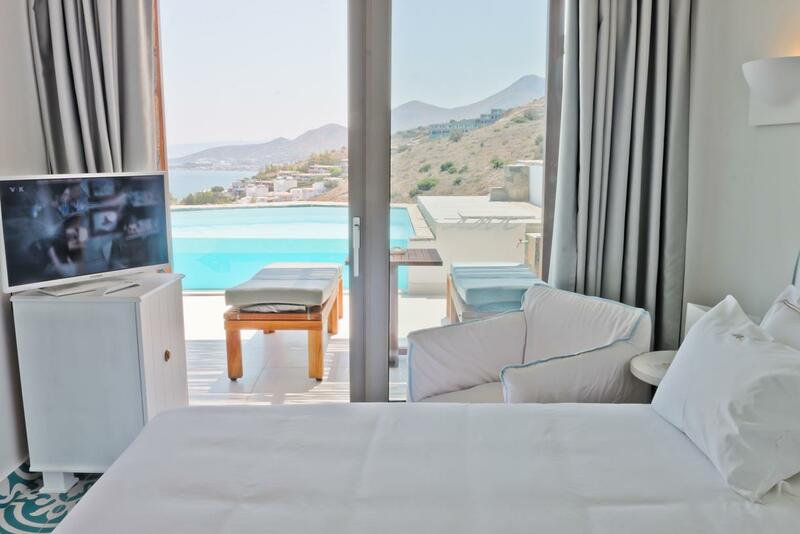 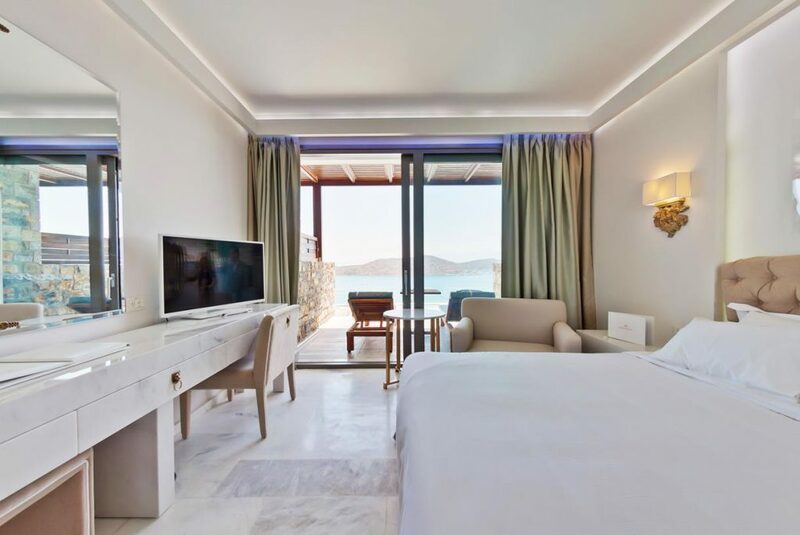 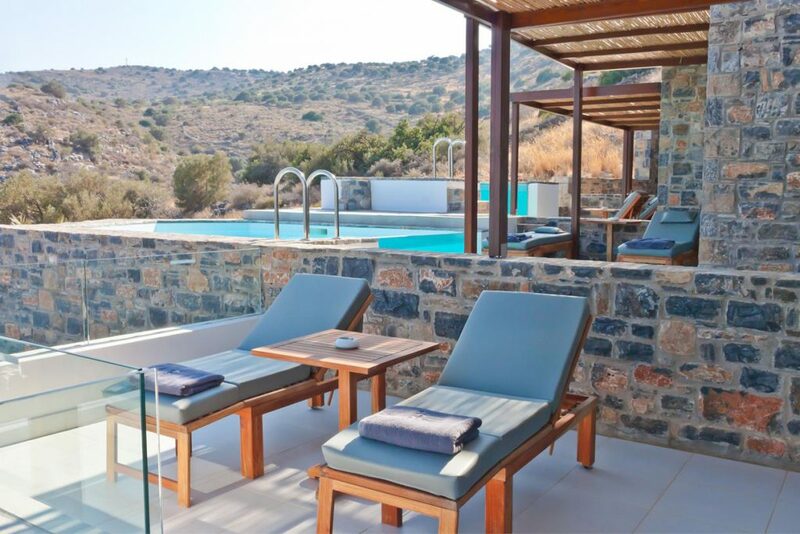 All of the accommodations at the Royal Marmin Boutique hotel are furnished to the highest standard, designed in modern and classic styles each room features en suite bathrooms, Bathrobes, terrace or balcony, air conditioning/heating plus lovely views of the bay or Spinalonga island. 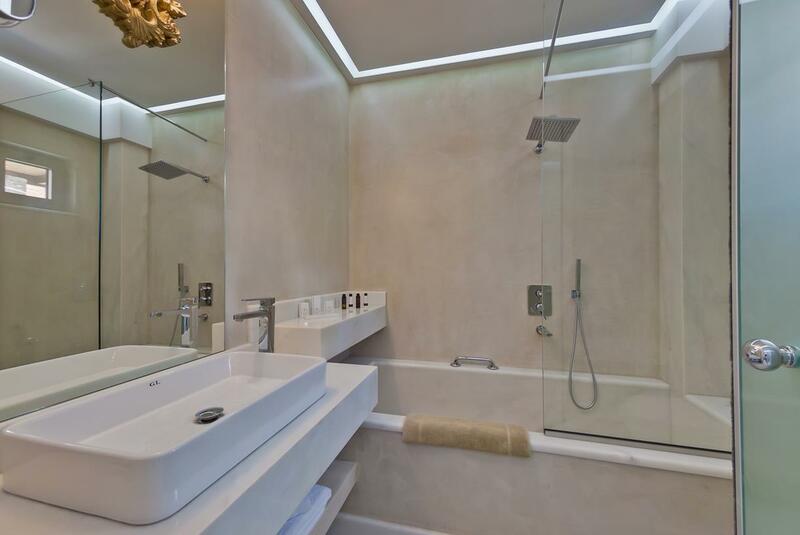 Special feature rooms include Deluxe room with private jacuzzi tub and Deluxe rooms with a private plunge pool.